St. John Lutheran Church in Boerne, TX is hosting a “Congregational Mission and Discipleship Event” February 11-12. Pastor Wendy will be attending the event and leading a workshop if you would like to ride with her. Worship, 8 & 10 AM—Pastor Schulte will preach during both services. Sunday School hour, 9 AM—Pastor Schulte will conduct a presentation about the LCMC and NALC. Luncheon, 11:15 AM—Get your questions answered over lunch. Henry Schulte was born in Central Texas near Waco in the Crawford community. The fourth child of Henry and Martha Schulte. He graduated from Crawford High School in 1954 and married his high school sweetheart, Frances Brown, in 1955. They have two children, David Wayne Schulte, Senior pastor Zion Lutheran Church, Helotes, Texas and Dana Kay Schulte Broddrick of Cedar Park, Texas. His first call was to the parish of the St. Paul Lutheran Churches of Shelby and Fayetteville, Texas. In 1968 he accepted the call to Highland Park Lutheran Church in San Antonio, Texas and served there for ten years. He was then called to serve as the Assistant to the Bishop of The Southern District of The American Lutheran Church. 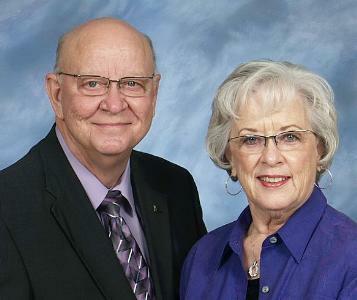 In 1983 he accepted the call to serve as Pastor of Zion Lutheran Church in Kerrville, Texas. He served there for 7 years before being elected Bishop of The Southwestern Texas Synod of The Evangelical Lutheran Church in America. In 1994 Pastor Schulte accepted the call to serve as pastor of St. John Lutheran Church of Boerne and continues to serve the 900 member congregation as senior pastor.